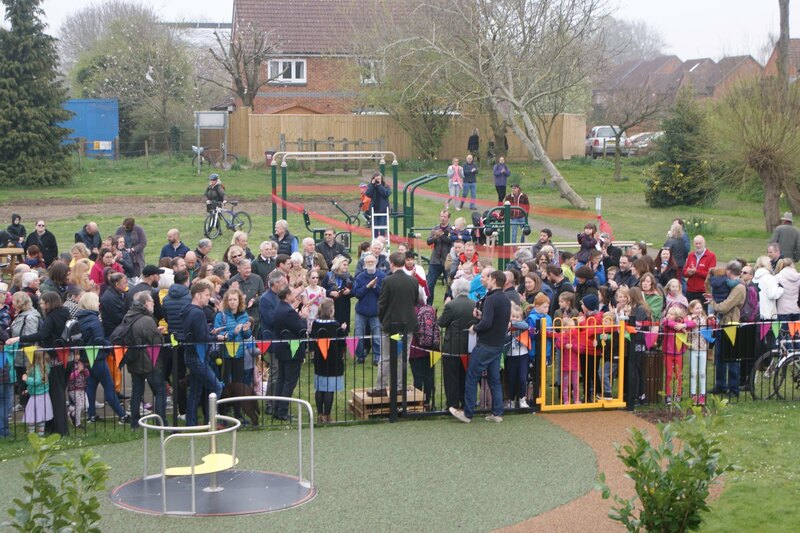 Thanks to all who attended to the Grand opening of the new playground and outdoor gym equipment. 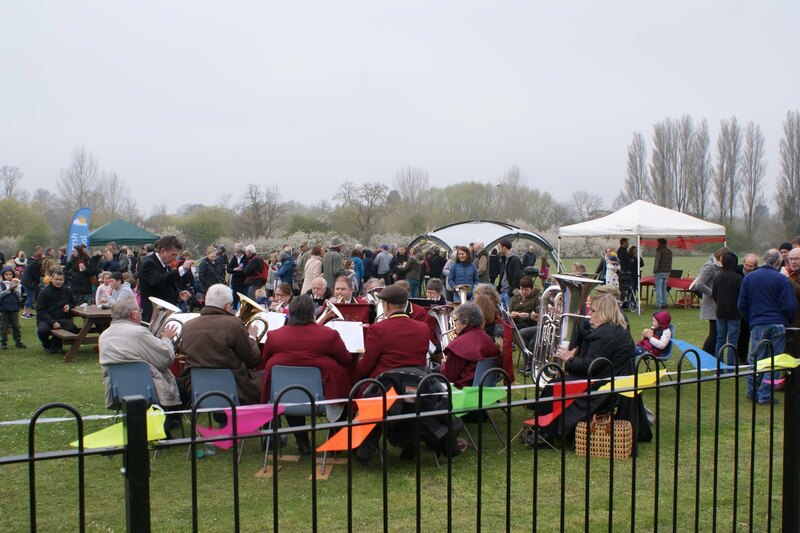 It was a lovely afternoon to celebrate our new facilities at the Recreation Ground. ”I just wanted to say a huge thank you for the wonderful park in Crowmarsh! I have 3 children, 1 is severely disabled and in a wheelchair. Until now there is hasn’t been anywhere locally that i can take them all to play together. Now, with the roundabout, sensory boards, sunken trampoline and accessible picnic benches they can all have fun together! Thursday 4th April at Crowmarsh Village Hall, 7.30pm. All welcome. 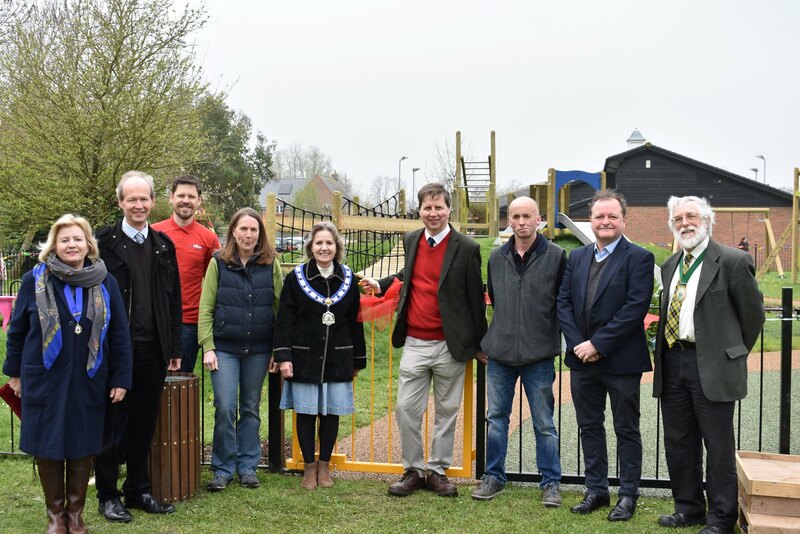 It is with great thanks from the following providers that we have secured the necessary funds to proceed with the project to update the Playground and add a new Outdoor Gym. There are also contributions of £513 from the community donated in memory of the former Parish Council Chairman John Bellamy. 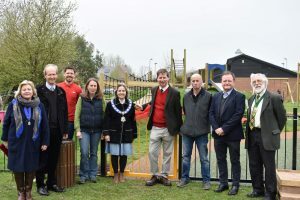 In addition Crowmarsh Parish Council is contributing to the project a sum of approximately £35,000. 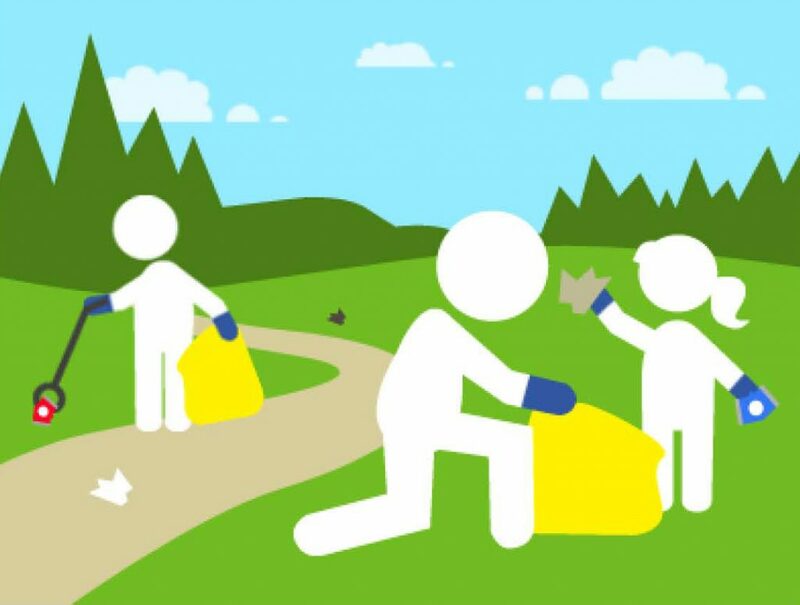 This includes £8604 to FCC Recycling UK Ltd to facilitate the WREN grant. 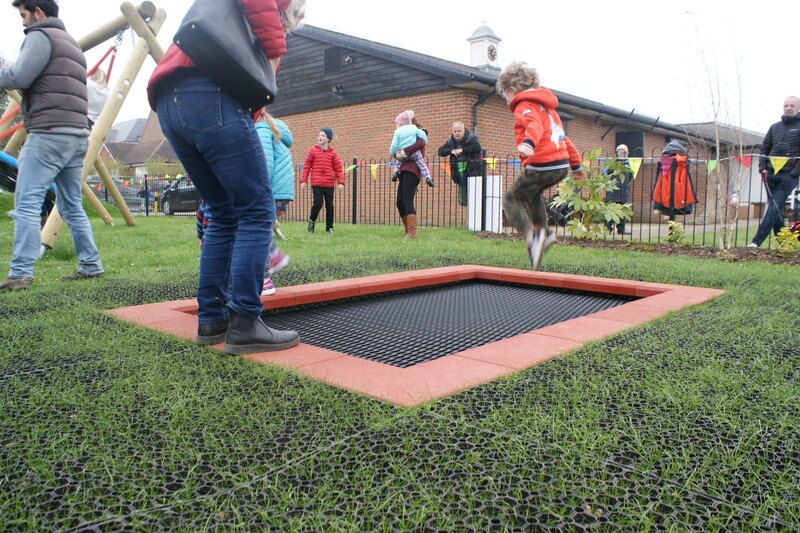 With a total of £185,000 worth of grants from our three main funding providers Crowmarsh Parish Council is now planning the commencement of the project. 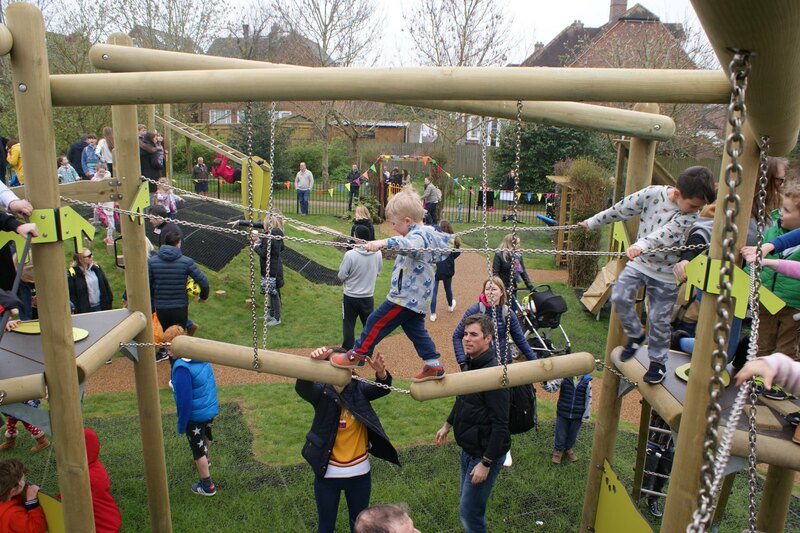 Due diligence has been carried out and Eibe has been appointed contractor for the New Playground and Outdoor Gym Installation. Work is scheduled to commence on the 8th January with an estimated handover mid to late March – therefore the playground and surrounding area will be off limits during this time. 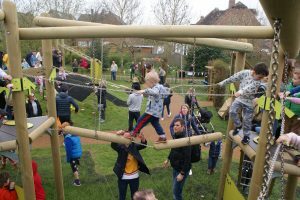 Plans are currently in place to commence work on the 8th January with an estimated handover mid to late March – therefore the playground and surrounding area will be off limits for this time. 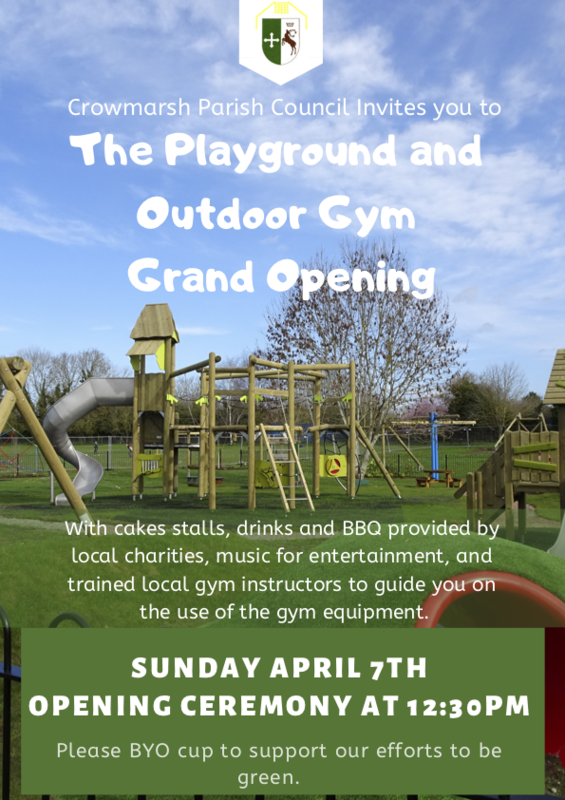 We look forward to being able to welcome you all back to the New Playground and New Outdoor Gym with a Grand Opening around Easter. 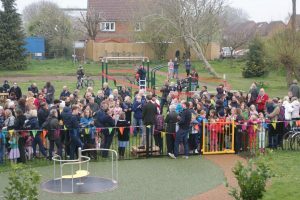 Subject to legal requirements Crowmarsh Parish Council is happy to report that sufficient funding has been secured such that the New Playground and Outdoor Gym project can go ahead. 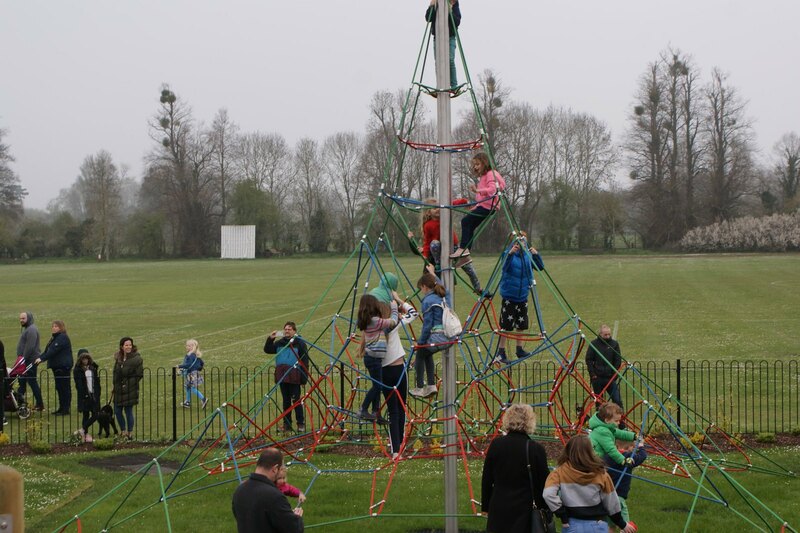 Many thanks to the providers, SODC, WREN’s FCC Community Action Fund and ACTIVE SPACES (The London Marathon Charitable Trust and Fields Trust) for their contributions, and thanks to the community for your letters of support and feedback helping to shape the project and its outcome. We look forward to sharing more with you in the near future once we have gone through due diligence and appointed a contractor. 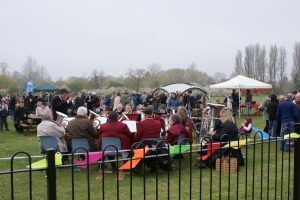 The Annual Parish Meeting will be held on Monday 14th May at Crowmarsh School starting at 7.30pm. The Steering Group responsible for developing your Crowmarsh Parish Neighbourhood Plan is hosting meetings at Crowmarsh Gifford School on Tuesday 13 March and North Stoke Village Hall on Thursday 15 March, both starting at 7.30 pm. The purpose of the meetings is to explain what has been achieved so far and to put the preliminary findings to you for discussion and informal consultation.